Mark Wilson has recreated the classic KENBAK computer using an AVR and some support electronics. This not only brings back a classic computer in a modern form, it provides a computer basic enough to be fully understood in a few hours. Tutor a novice on it over a weekend and you will have taught him/her more about computers than a .net or php training ever can give. 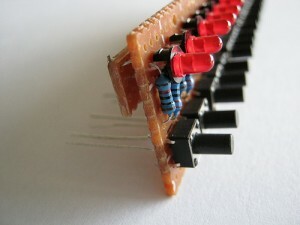 I personally like the low-level, bare metal user interface provided through 12 red coloured LEDs and 15 switches. Who would ever need more than that. You can learn more from this Flickr set, including video clips.